Glisy is a village in the Department of Somme, some 11 kilometres south-east of Amiens. 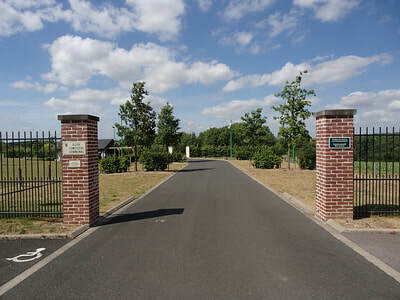 The cemetery is west of the village and south of the railway line. 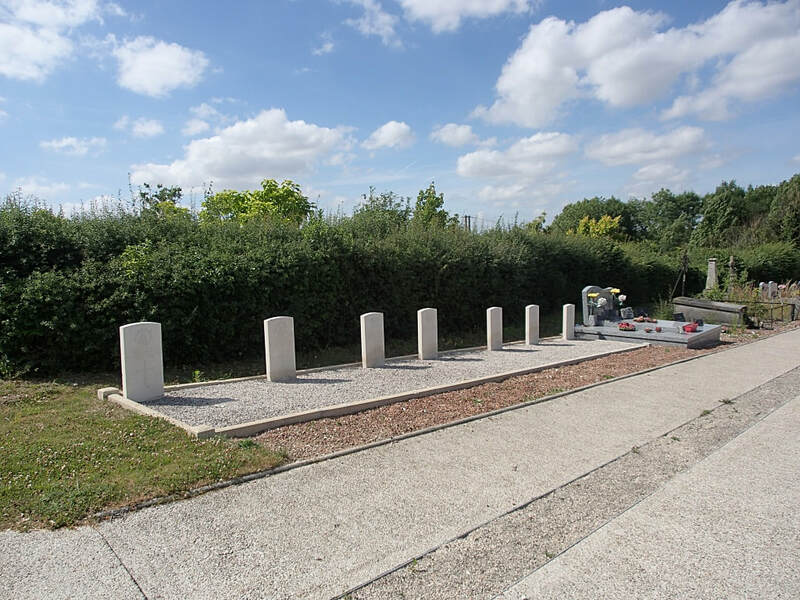 One plot of seven Commonwealth war graves is situated at west perimeter of the cemetery, and Commonwealth war grave at the east perimeter of the cemetery. Glisy Communal Cemetery contains eight Commonwealth burials of the First World War. Number of Identified Casualties: 7. 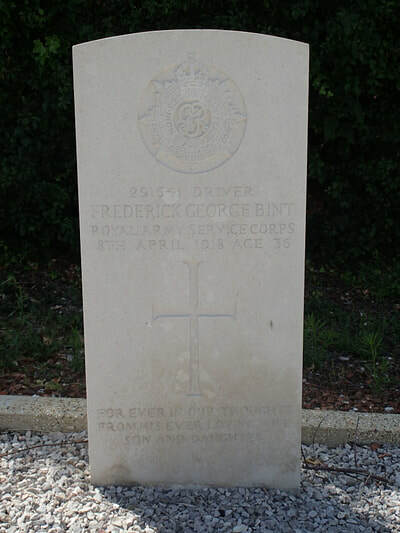 291541 Driver Frederick George Bint, Army Service Corps. (H.T.) Attd. 7th Cavalry Field Ambulance. Killed in action 8th April 1918, aged 36. Son of Mrs. Stallwood (formerly Bint); husband of N. C. Bint, of 27, Melgund Rd., Highbury, London. 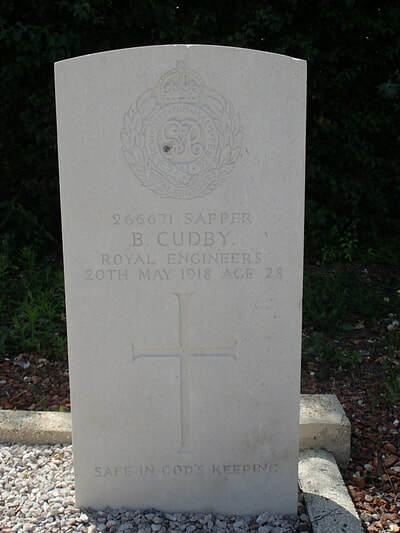 266671 Sapper Bertie Cudby, 263rd Railway Coy. Royal Engineers. Killed in action 20th May 1918, aged 28. Husband of Mrs. C. Bowes (formerly Cudby), of 5, Chestnut St., Leeds Rd., Bradford, Yorks. 2117 Private Harry Dunton, 26th Bn. Australian Inf. 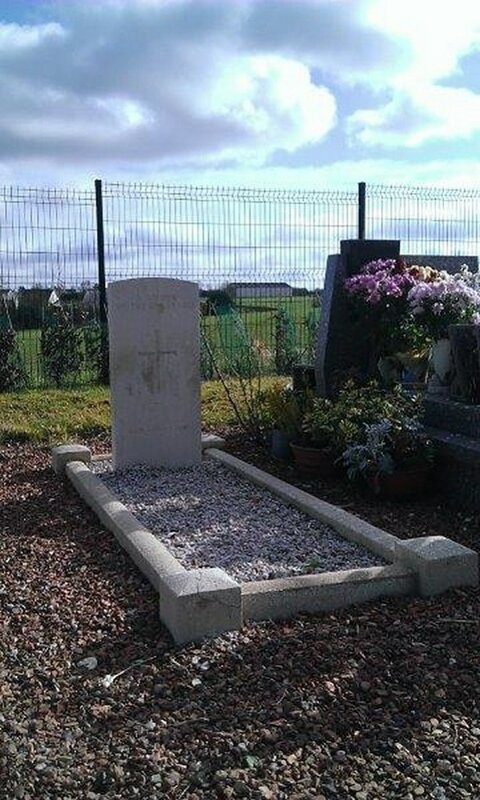 Killed in action 6th May 1918. 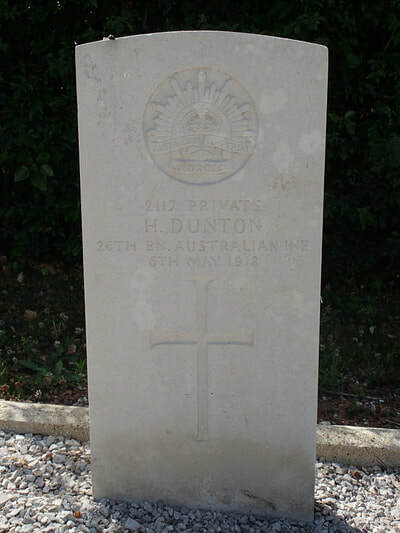 Son of Joseph Henry and Sussana Dunton. Native of Greenwich, London, England. 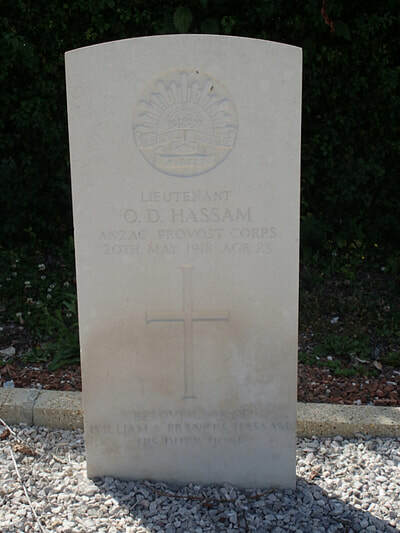 Lieutenant Oscar Donald Hassam, Mentioned in Despatches. Australian Provost Corps. Died of wounds 20th May 1918, aged 23. Son of William and Frances Hassam, of Brighton, South Australia. 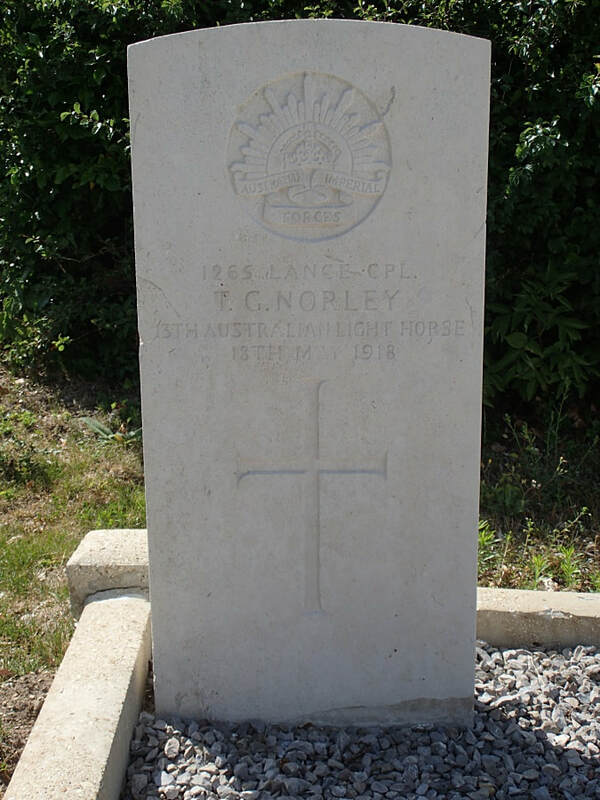 1265 Lance Corporal Thomas George Norley,13th Australian Light Horse. Killed in action 18th May 1918. 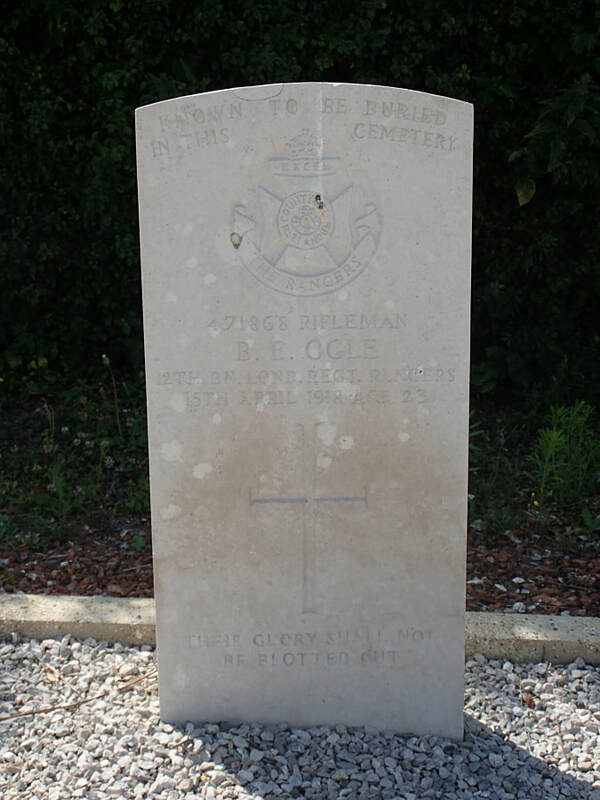 471868 Rifleman Bertie Edward Ogle, 12th Bn. London Regt. (The Rangers). Killed in action 15th April 1918, aged 23. 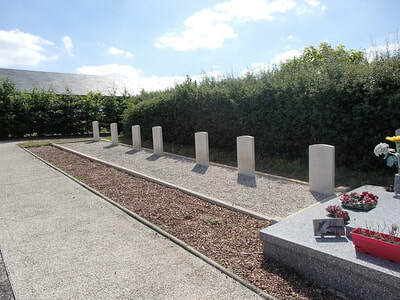 Special Memorial. Son of Mr. and Mrs. G. E. Ogie, of 4, Lynn Rd., Wisbech; husband of Mrs. M. Barron (formerly Ogle), of 23, Gedeney Rd., Tottenham, London. 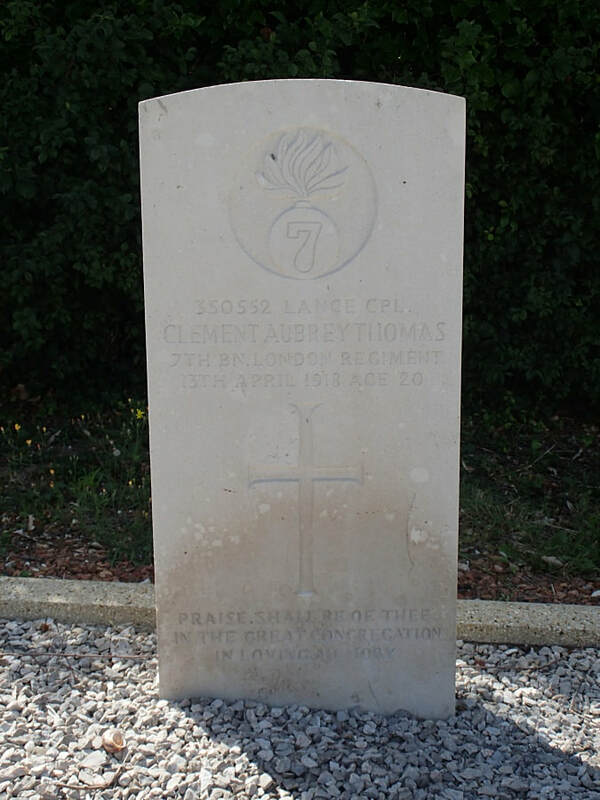 350552 Lance Corporal Clement Aubrey Thomas, 7th Bn. London Regt. Died 13th April 1918, aged 20. Son of John and Alice Thomas, of 73, Wendell Rd., Shepherd's Bush, London.